Entries to participate in South Africa’s 5th National Marimba Festival which has become an undisputed highlight of the country’s cultural calendar close on 16 April 2010. Hosted at St. Dominic’s School in Boksburg on the 7th, 8th and 9th August, the 2010 National Marimba Festival promises to outstrip the success of its predecessors and supersede the number of participants taking part in their revered marimba competition. 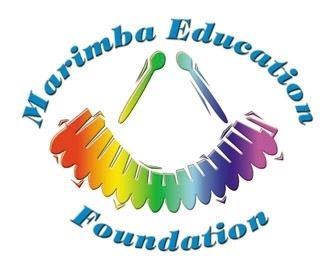 The Marimba Education Foundation in partnership with St. Dominic’s School in anticipation of this vibrant musical experience is once again calling for as many participants as possible to register in this year’s competition. “We are delighted to offer a limited number of sponsorships to deserving bands who are in need of assistance. We are trying our very best to get as much sponsorship as possible this year as we realise that many bands will find it difficult to attend without some financial help.” says Joan Lithgow, festival organiser. There are great prizes to be won including two marimbas. As there have been some changes made to the rules since last year entrants are advised to read them carefully prior to entering. Registration forms and all relevant details pertaining to the Festival may be found on www.mef.org.za. For more information please contact Joan on 082 2664 229 (OFFICE HOURS) or email joan@mef.org.za for entry forms and competition details. Because of its urgency, I will post this on the homepage. I also love Marimba. Been thinking of owning the instrument for a while. Now that you posted this, I think I should just buy it to add to my music instruments that I hardly ever play. Good luck to the team from Uplands in Whiteriver! You guys are travelling far to come to this competition, and I know you are the Best! Lots of hard work and you can't go wrong.